I am a professional touring musician of many years who is now a mother of two. Unlike years ago when my professional ethos revolved only around tasks associated with the development of my own art (original music), having kids softened me. Now I favor work that connects to my passions in any context (including writing!) and this keeps me (mostly) off the road and present as a mother. While some of this interim work is not always artistically satisfying, I soothe myself by remembering that at least it’s associated with my talents. 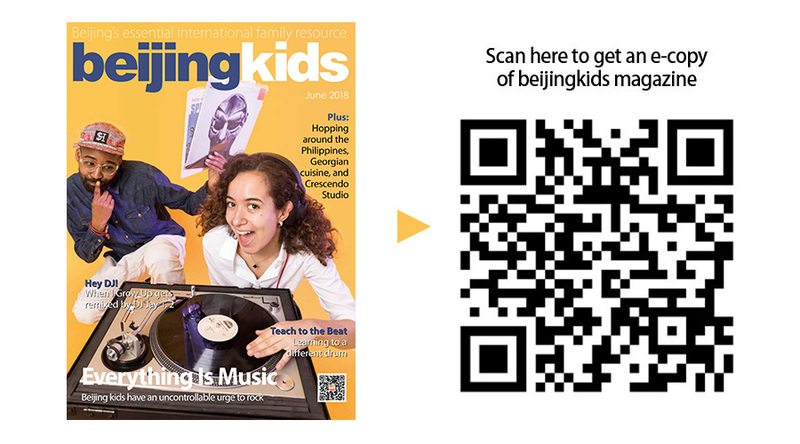 There is a strong education market for English-language children’s songs here in China. Being a native speaker who is also a singer (as well as a songwriter—and yes, I’m often hired to write such songs themselves! ), I regularly travel to hard-to-find studios across Beijing to sing professionally. But, this past weekend was a little different. The studio owner has known me since my daughter was an infant and, with some quick math, she zeroed in on Echo’s age. “There is one song that could really use a child’s voice,” she said plaintively in a WeChat message. I felt my insides twist when I heard it. Despite Echo’s incredible grasp of pitch and rhythm (musical talent I’m delicately fostering), I hesitate to put my kids in any exploitative position. Sure, she’d be paid, too, and her school fees are expensive, but isn’t this child labor? I tentatively brought up the topic in front of my very doting and protective Chinese in-laws. Echo is “super curious” to see what Mommy does for work (besides performing on stage) and was instantly ecstatic to come with me. And hearing she’d also get paid, her grandparents encouraged the experience without a moment’s hesitation. I was surprised. Was I taking this too seriously? Maybe it would be fun? Maybe it would be a good Mother-daughter bonding? “Mommy, do I get to push all those buttons?” This was her first sentence when she entered the studio on the day of the session. “No, sweetheart,” I said gently. “That’s for the recording engineer to push. We get to go in there and sing in front of those microphones.” I pointed through the control room’s window into the isolation booth. It all went really well. Echo remembered all the words to her song and then sat quietly and colored while I did the remaining tracks. I was so proud of her. What’s more, the studio staff was beyond gracious. Echo left with many unfinished coloring pages, much to her delight, and a pocketful of cookies to share with her Didi. Perhaps exploitation is a concept I’m sensitive about as a white-skinned, English-speaking foreigner living in Asia. But, are we colonizing our children by introducing them to our vocations while they’re still kids? If we consciously provide them with an array of choices and never force them to do what they don’t want to do, maybe it’s okay to let them do the odd money-earning job, especially if it makes everyone happy? The job was fun and easy. And she is genuinely a good singer. My heart swelled. “You can be anything you want, sweetie,” I said, smiling. Ember Swift is a Canadian musician and writer who has been living in Beijing since late 2008. She has a daughter called Echo (国如一) and a son called Topaz or “Paz” (国世龙).